These wines are part of the Extended Barrel-Aged (EBA) program. 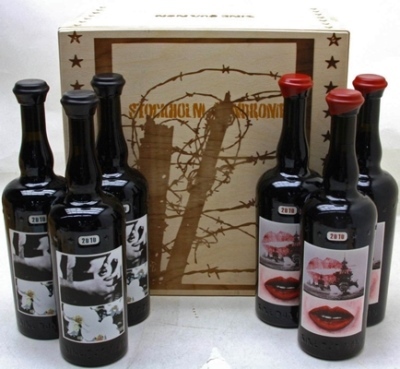 The Grenache is 75% Grenache, 22% Syrah, 2% Roussanne, and 1% Viognier (with a "dollop" of whole clusters on the Grenache), all from Eleven Confessions. 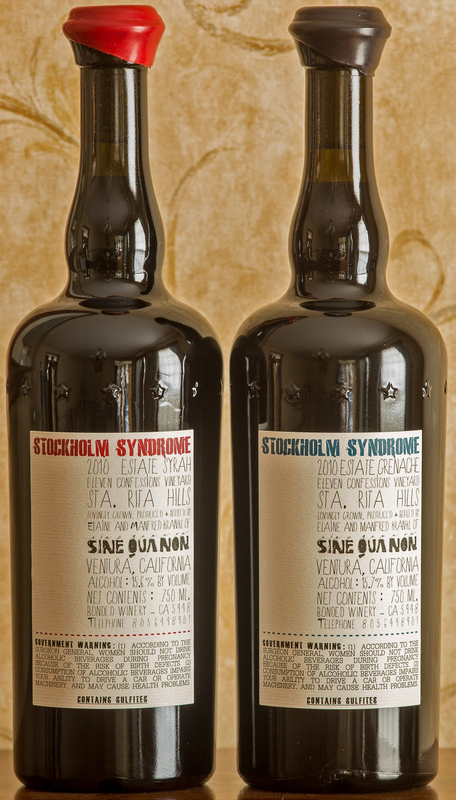 Aged about 30 months in oak barriques, only 22% new. 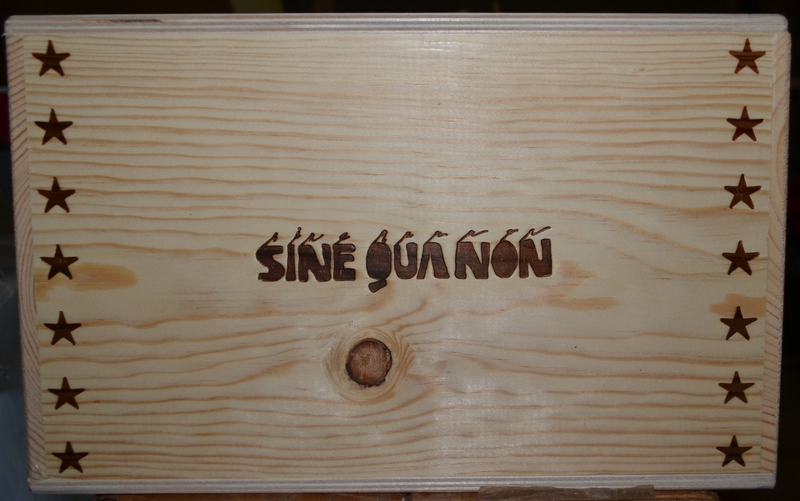 The Syrah is 96% Syrah (fermented with 19% whole clusters), 3% Viognier, and 1% Roussanne, all from Eleven Confessions. 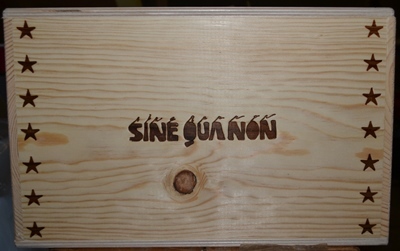 Aged about 41 months in new oak barriques. The 2010 Stockholm Syndrome Syrah has a red capsule, red vintage and name (on the back), and came wrapped in red tissue paper. 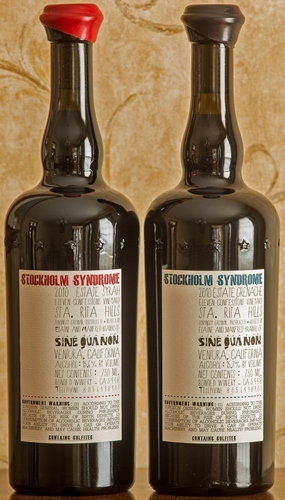 The 2010 Stockholm Syndrome Grenache has a black capsule, blue vintage and name (on the back), and came wrapped in black tissue paper. 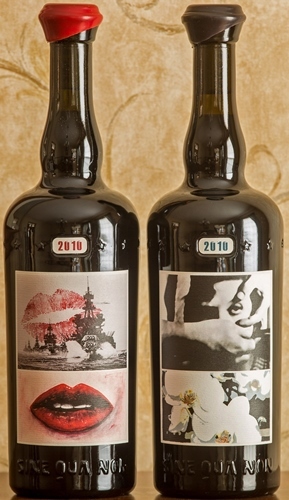 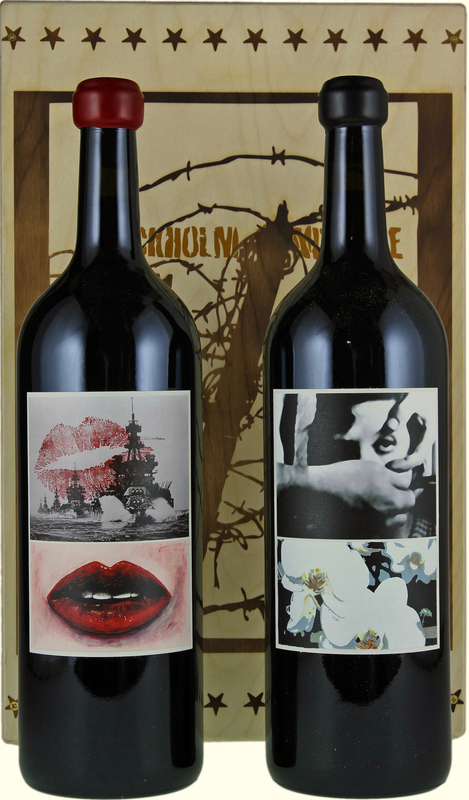 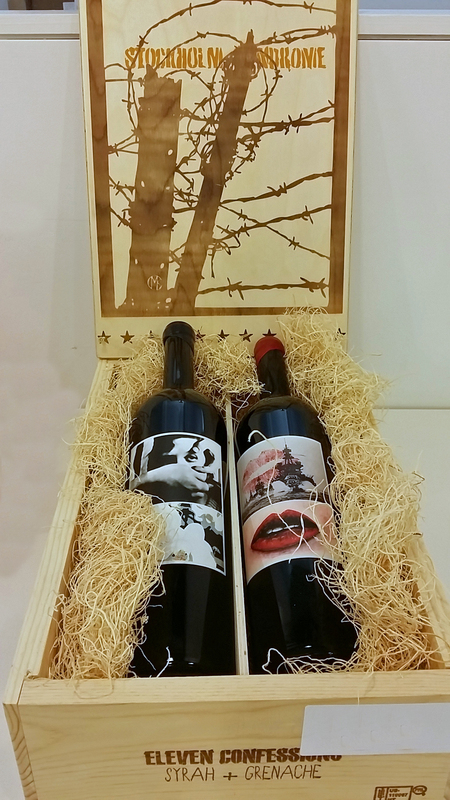 The upper image on the Grenache is a still from the movie Un Chien Andalou. 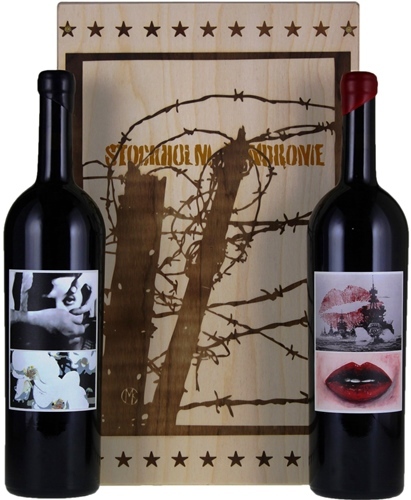 and 3 bottles of 2010 Stockholm Syndrome Syrah. 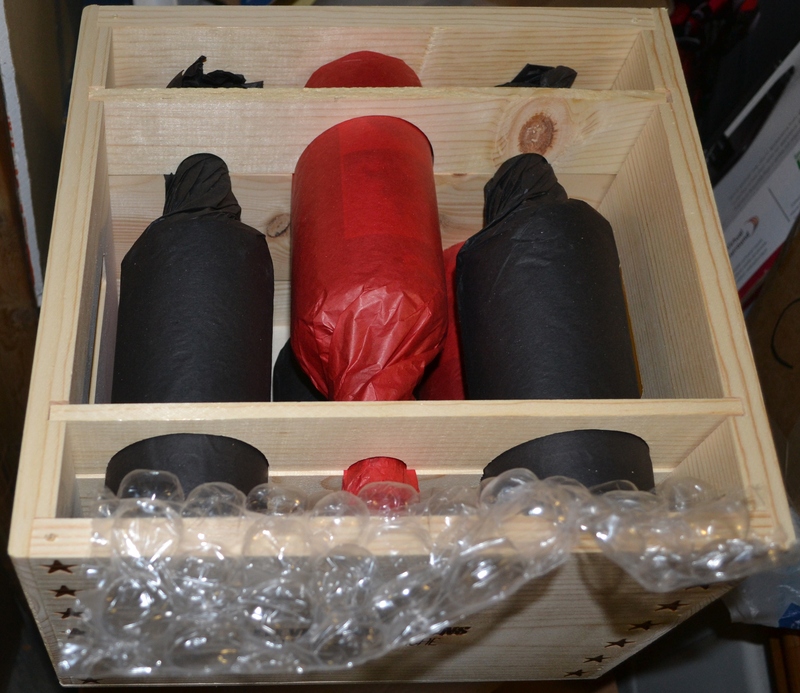 Full sets of 3 Syrah and 3 Grenache. 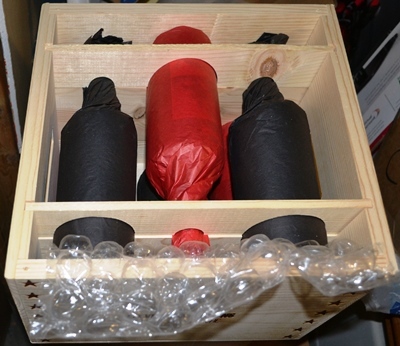 one magnum of Grenache and one magnum of Syrah. 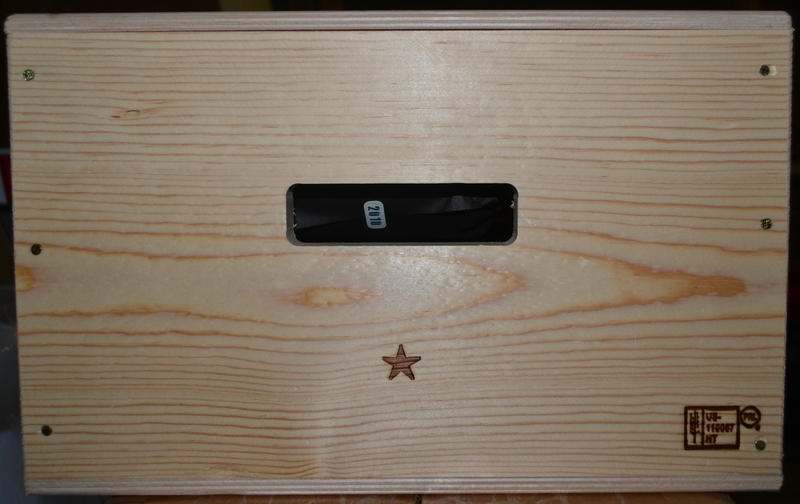 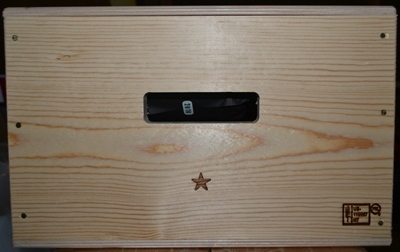 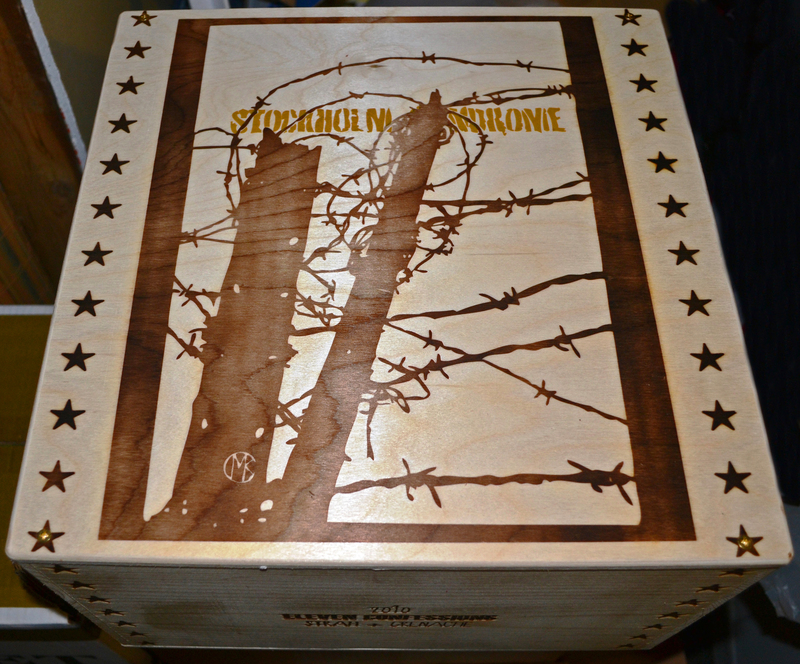 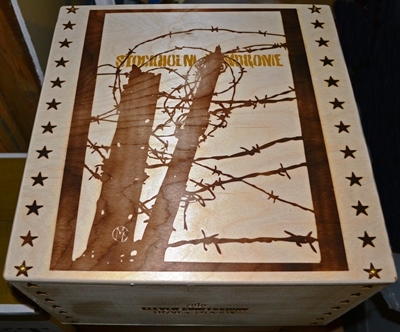 If you have more photos of the box, please send them. Grenache on the left, Syrah on the right. 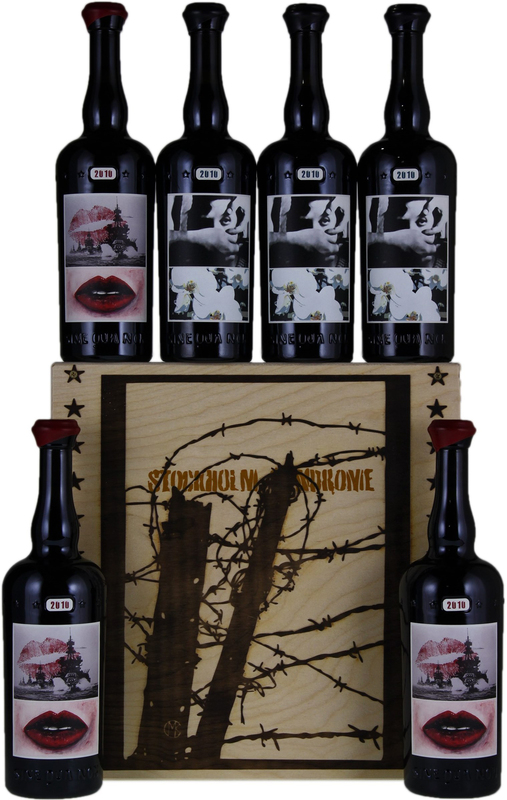 Three liter bottles of 2010 Stockholm Syndrome came in a two-bottle boxed set of one Syrah (left) and one Grenache. Syrah (left) and Grenache (right).